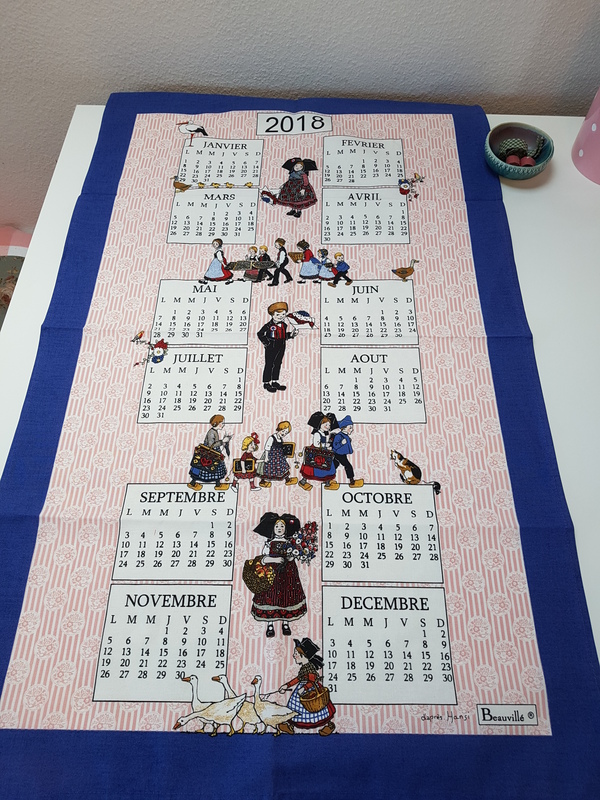 The 23rd European Patchwork Meeting is the first large and international quilt show that I have visited in my 5 years as a quilter. Located in the mountainous region of the Val d’Argent, in Alsace, France, this quilt show may be a bit off the beaten path. But what it lacked in convenience it made up for in quilts. Scattered throughout the villages of Sainte-Marie-aux-Mines, Sainte-Croix-aux-Mines, Lièpvre and Rombach-Le-Franc, this quilt show displayed a variety of styles and history from all around the world. My husband, Yves, who was so good to accompany me on my Day 1 of the show, proved to be a great personal photographer, documenting quilts we liked with his Nikon. To best show the quilts, I will break the posts up into categories. For now though, I will share with you the fruits of my shopping spree at the exposition stands which were visiting from all over France, Germany, Italy, Spain, Belgium, the Netherlands and even a few from countries such as Denmark, Poland and Hungary. The big brands from the USA and Japan were also represented. As it was a truly international affair, this required me to dig up my school girl French. Although my German and English also came in handy. In Lièpvre we happened upon a stand for the French linen company Beauvillé. 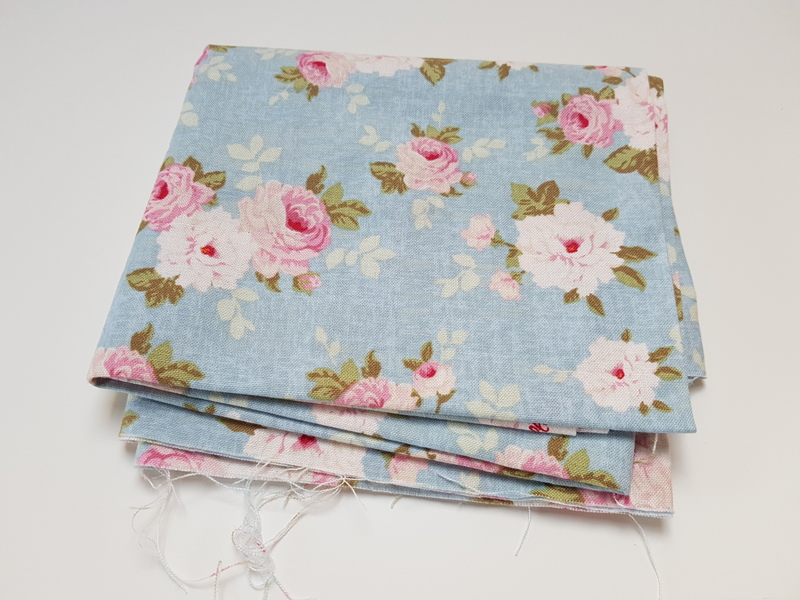 Known for its exquisite linens in rich colors it’s stand featured tablewares and large and small scraps of fabric handy to quilters and sewists. You can visit there website here for further information. We were able to buy three dish towels. One touristy one for my mom, the rest for us. 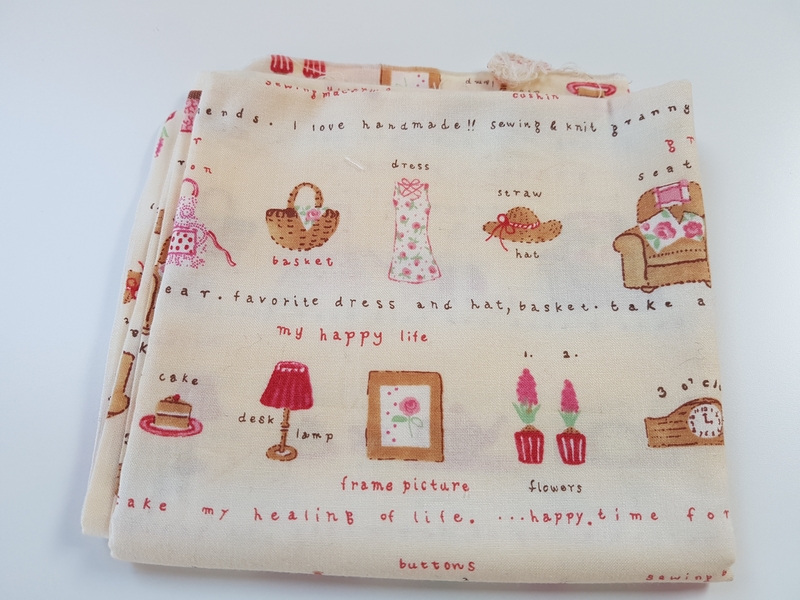 Another item that I am extremely excited about is from this French company which specialized in embroidery kits. At the show there were quite a few companies selling embroidery and cross stitch kits and patterns. Most of which I was able to get to. The French have such lovely designs. 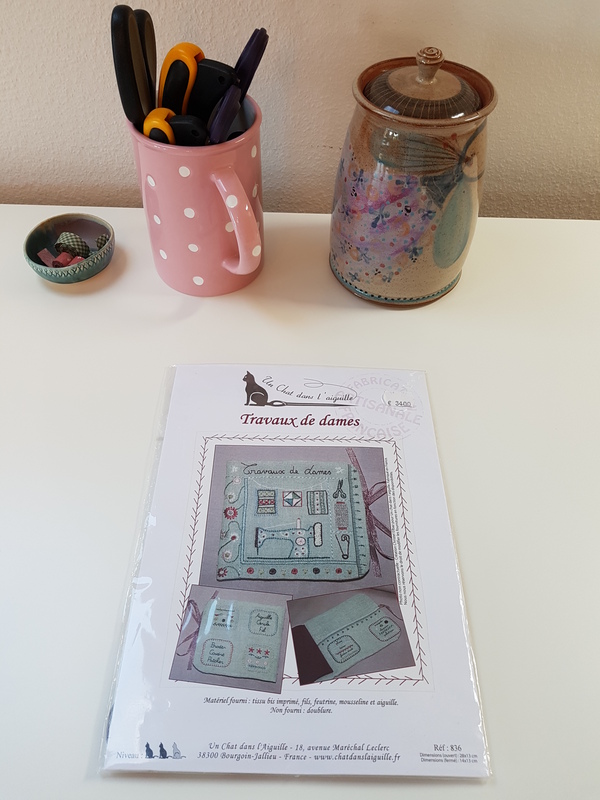 This kit, for a large needle booklet, was one of them which I simply couldn’t resist. To see the website of Un Chat dans l’Aiguille click here. 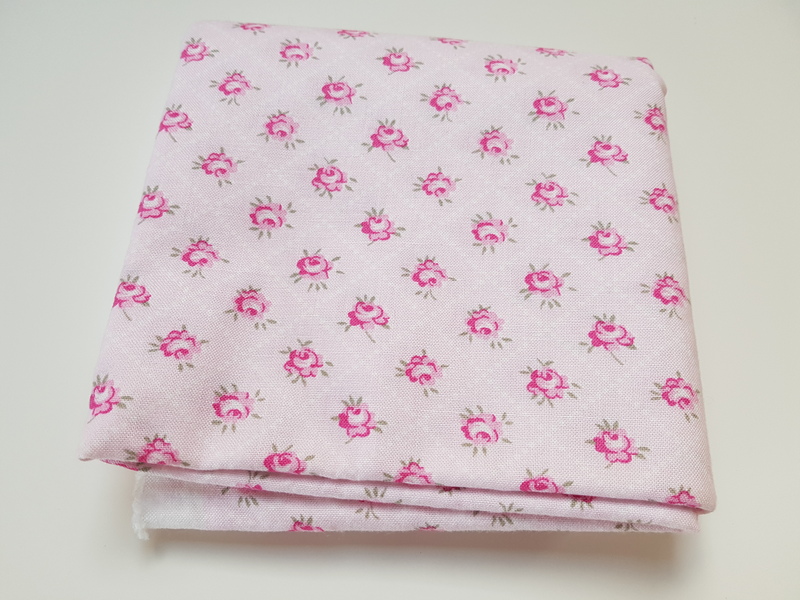 But what I was really at the show for was quilting and so of course I had to buy some fabric. I must say I came organized, with three specific projects in mind. 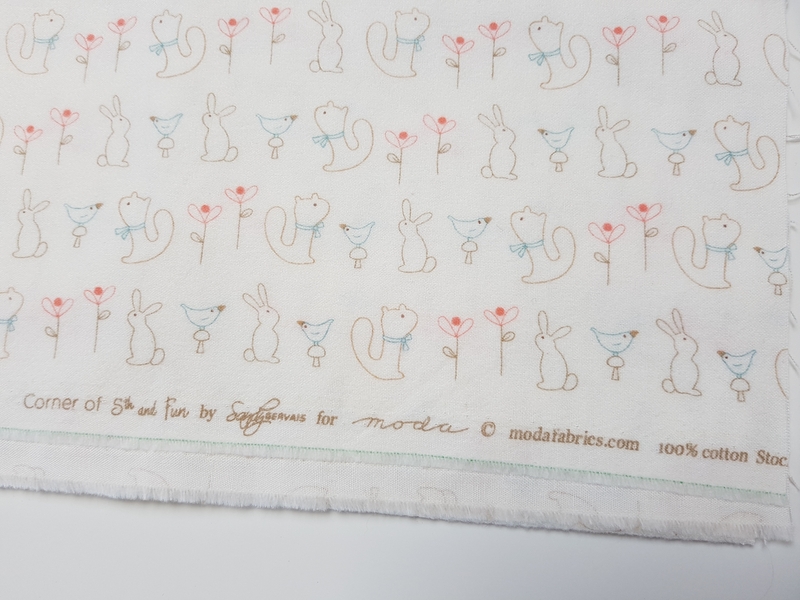 But on my second day there, I lucked out and found the most beautiful fabrics from Japan, as well as some Tilda and some Free Spirit. ( see fabrics above.) 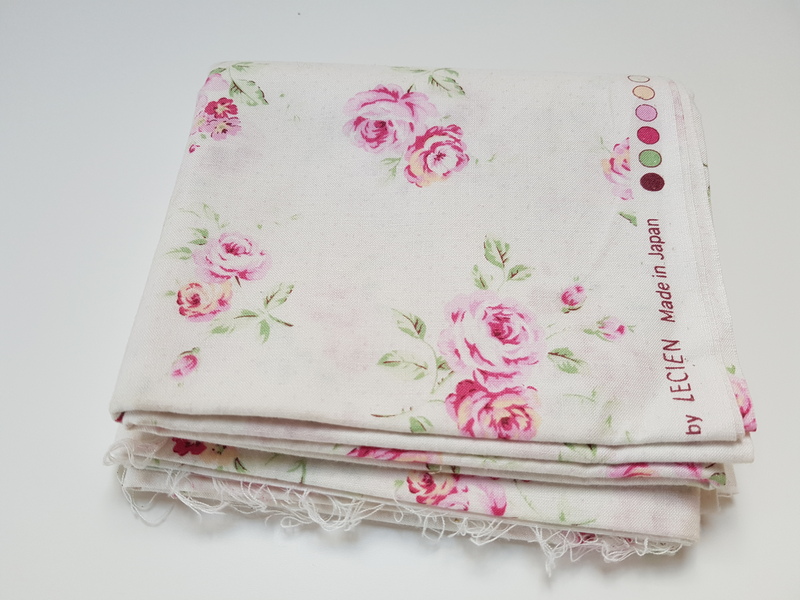 It matched the small scrap of Tilda fabric, which I had bought some years ago in Lüneburg, Germany. Finally something bright and girly. I also found this little gem. At an Italian stall I was able to purchase the most adorable little piece of flannel. Another company at the show that really caught my eye, had a fairly large stand and was selling quite a selection of fabric by the meter. 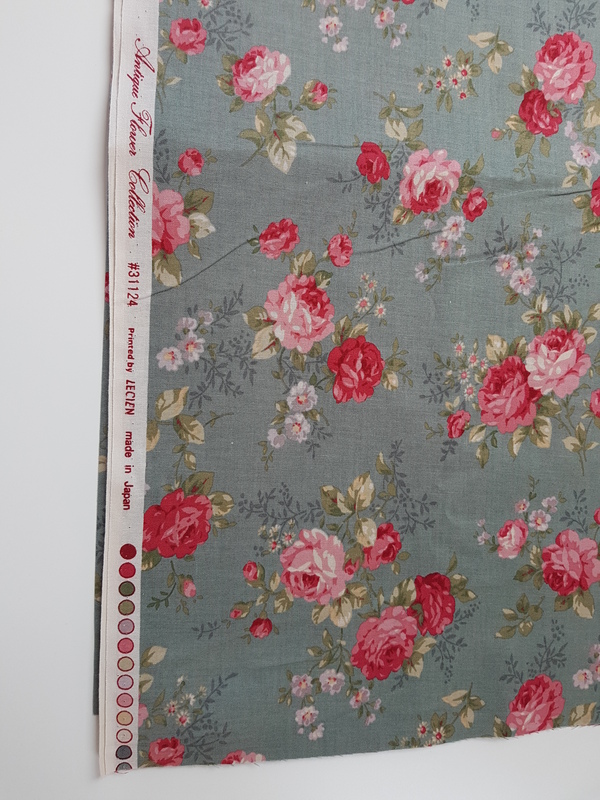 I lucked out again with more matching Tilda and a new print I hadn’t seen from the Antique Flower Collection, which I just used up my only scrap of fabric from. 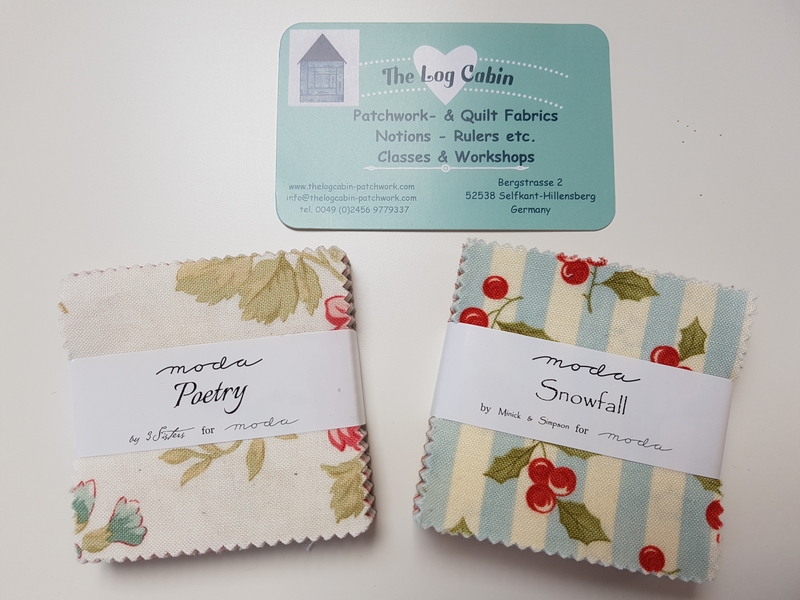 Finally the last of my fabric purchases, was two mini charm packs from Moda. Maybe they are called Candy’s? In any case I thought they would work for some English Paper Piecing hexies I want to make. With these in the bag, I then consulted the list I had made of sellers I wanted to visit, and began my search for hexie papers. 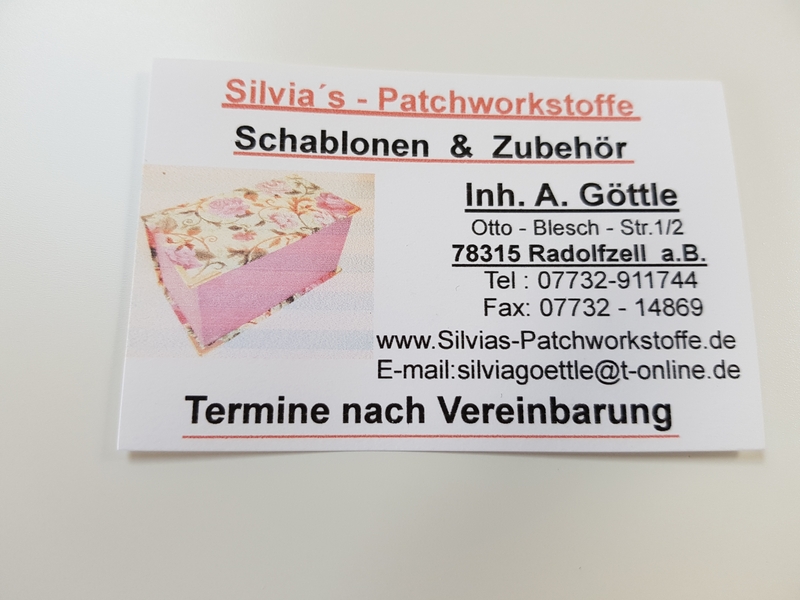 I found them at a stand for Silvia’s Patchworkstoffe a German company who was selling different templates and quilting supplies in addition to fabric. 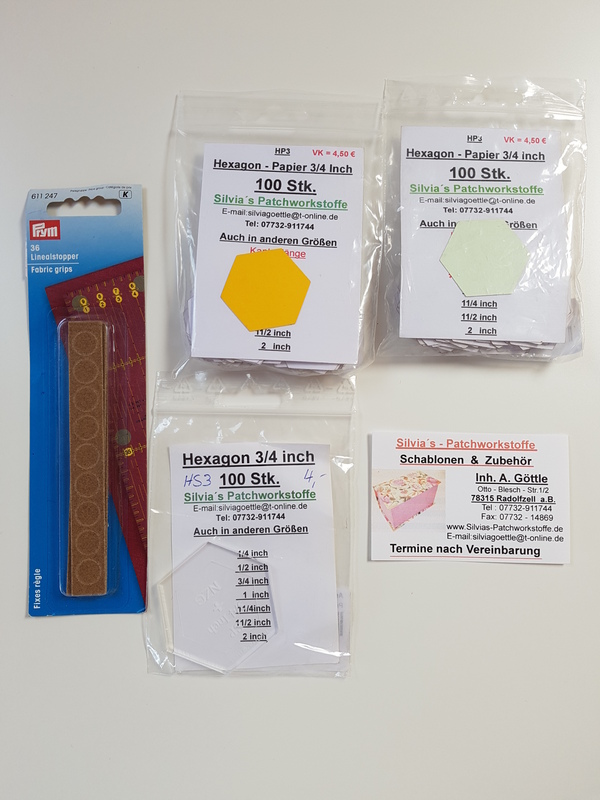 I also bought a plastic hexie template for the fabric and anti-slip stickies for the template. For access to this shop’s website please see the business card. 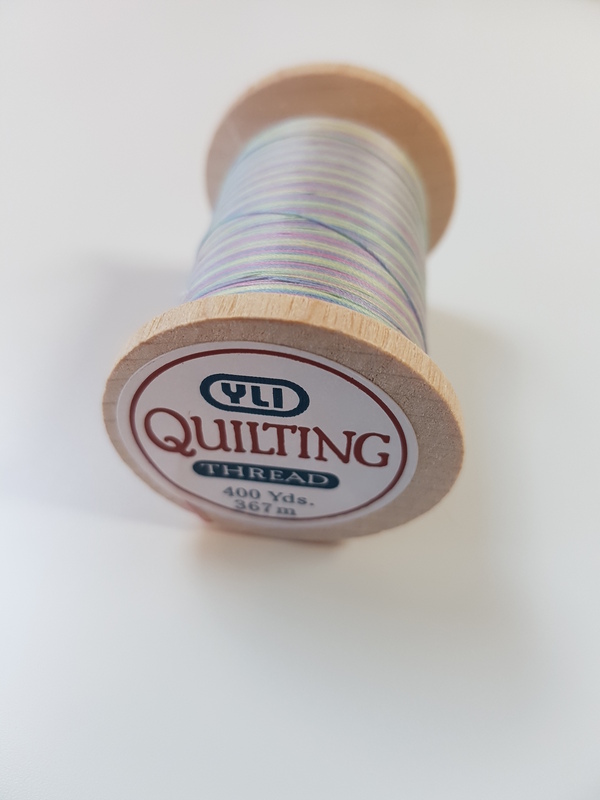 Finally, the last thing I found to buy at the show was YLI quilting thread. The brand I love and use for all of my hand quilting. 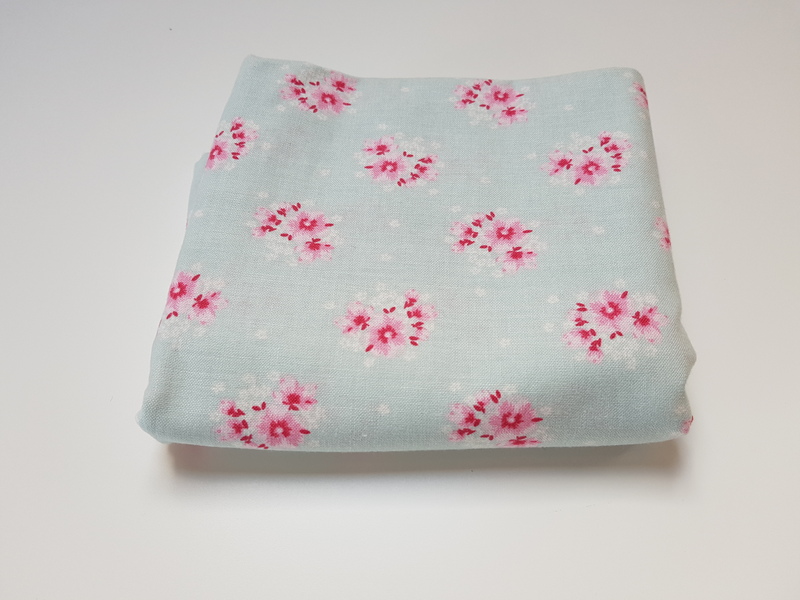 This time I decided to buy a verigated thread which will go nicely with the Japanese and Tilda fabric I bought. 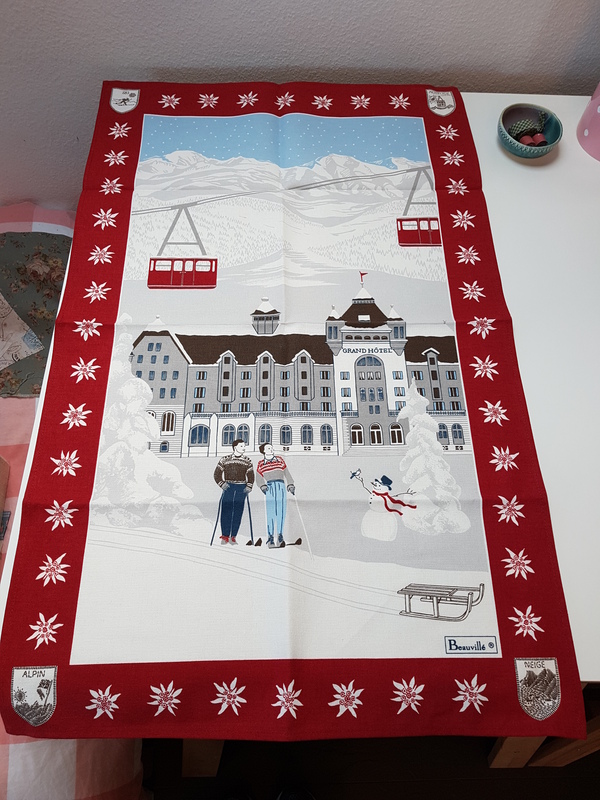 I bought this at the stall of Esther Miller from the German company Miller’s Quilting which is based outside of Berlin. 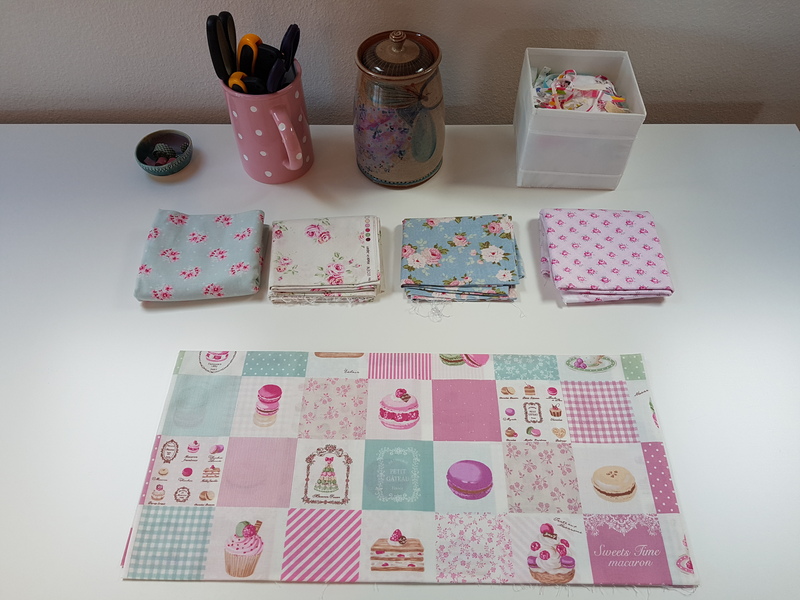 From there she sells predominently hand quilting supplies and frames of all sizes as well as quilting templates. 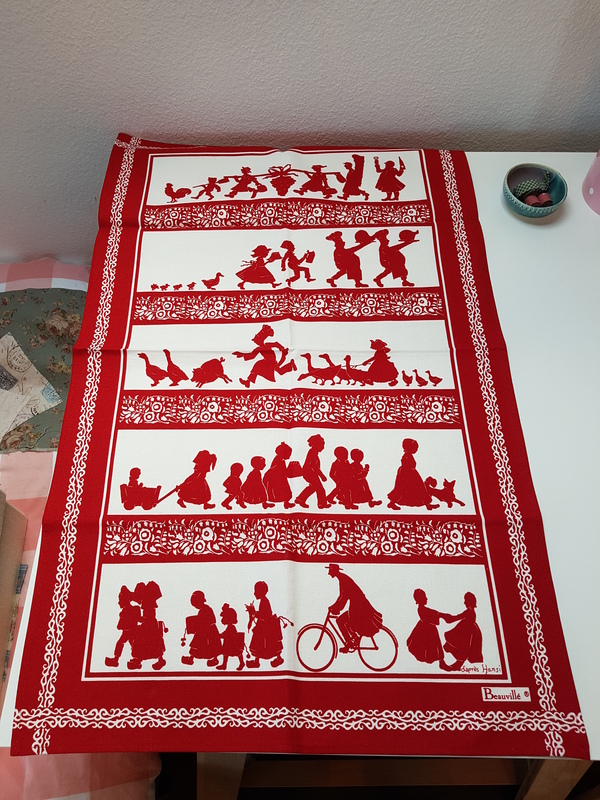 I was lucky enough to talk with Esther Miller who specializes in Amish hand quilting techniques and holds workshops on the subject. She readily answered my questions on marking the quilting design and her courses. I could see how she would be an extremely interesting teacher and am looking into her courses now. You can visit her online company, or the brick and mortar store, by going first to her website here. For more information on this region of Alsace, see the official website here. For more information on this annual quilt show click here. Please let me know if you have any questions, I will be more than happy to answer them. I’ve collected a lot of imformation about the show asw well as information on the fabric and sellers. Thank you for reading and I hope you will return once I’ve posted the additional posts on this show. Jodie your purchases are great,I love what you bought me. Sure wish I could have been there. Oh I wasn’t even finished that post, I didn’t realize I posted it. But thanks. Fun to see what you purchased there. I wish I’d known you were there–we could have met up and had an online friendship become real! Maybe next time, yes? I would love to, are you often in Europe/ the Geneva area? I live in the Eastern part of Switzerland, but sometimes do get over to the French part. Were you able to find any good quilt shops in Geneva? Will have to go see where you live!